Over the last few years, Final Fantasy XIV has suffered from a public spam problem. In every major zone, bots would flood general chat with “MONEY FOR GIL” ads, prompting players to switch their statuses to “busy.” FFXIV’s Tuesday patch made some necessary changes that allows players to more easily report real money transfer (“RMT”) spam. In the past, there were two ways to handle the constant inundation of spam bots: Players could block bots shouting about online money-for-gil exchanges--but it was like playing whack-a-mole, if only the moles were infinitely-spawning fly larvae. To actually report the larvae, FFXIV players were directed to an online “bug report” form, or the FFXIV forums. It was clunky as hell. With the latest patch, players can report RMT bots in FFXIV’s chat log box, but do still have to block their messages on a case-by-case basis. “Any reports sent using this function will be processed automatically. When it is confirmed the reported player is sending RMT messages, their ability to speak with other players will be restricted,” Square Enix writes in their Patch 3.4 notes. So, less of the bot-block burden (say that five times fast) will be on players’ backs. This is one of the patch’s greatest assets. FFXIV players are celebrating, but with great reporting potential comes great harassment potential. 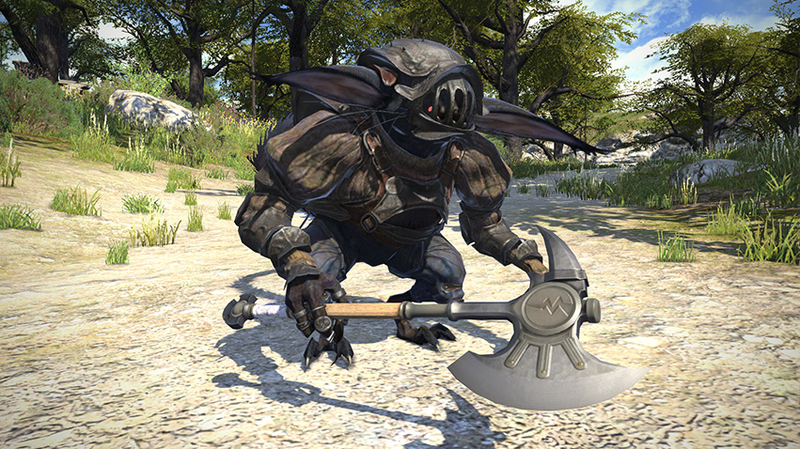 With over a million subscribers, FFXIV is bound to be home for a few trolls. A player who doesn’t like someone can report them quite easily. Real people, however, will be going through the complaints. So, if you’re a jerk about it, perhaps you’ll get sent to “GM jail.” Square Enix declined to comment for this article. In the next patch, let’s hope that Square Enix will make it easier to report “JOIN MY FREE COMPANY” spam.